Sorority recruitment was one of the most stressful processes that I have ever gone through, but at the same time, it was ultimately the most rewarding. I think a lot of the stress came from the fact that everything about the process was out of my control. 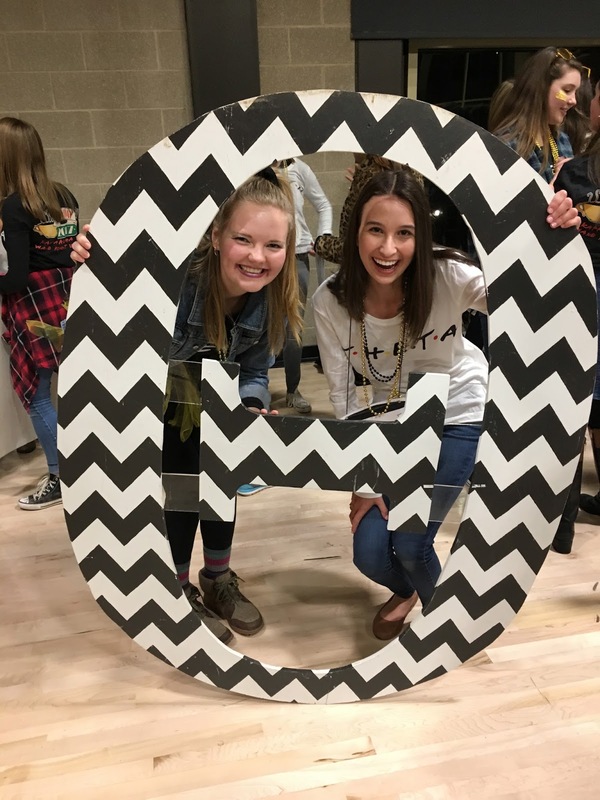 When people ask me about recruitment I like to explain it as something that I'm happy that I did but that I am glad that I never have to do again as a PNM. 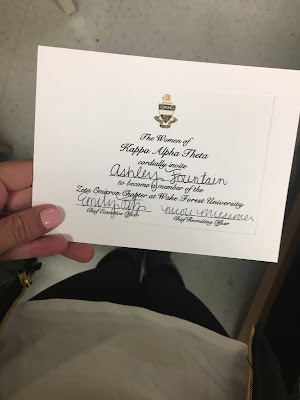 With that being said with this post I'll give you a little insight into Wake Forest's recruitment process, then go into my personal experiences with it, and finally talk about my sorority! 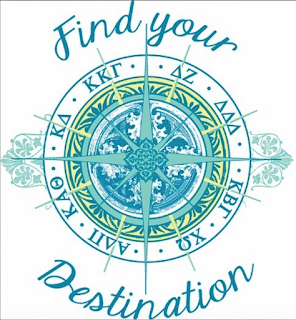 Wake Forest has spring rush meaning that formal recruitment takes place the week before classes in January. 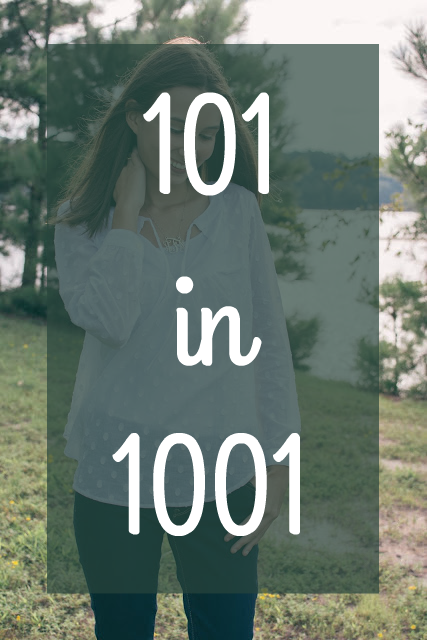 I loved this because I got to get acclimated to college before I was overwhelmed by sorority life. I also like that I have friends outside my sorority so that my life does not seem to be revolving around one group of people. 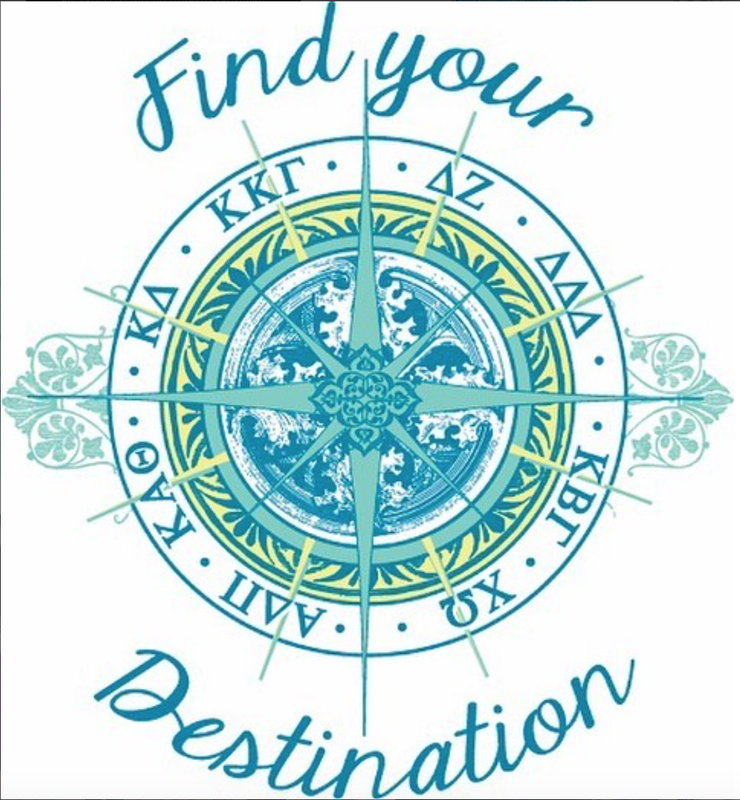 As for the actual process of recruitment, there are four days of parties and the fifth day is bid day. Each day the parties get longer and more focused. 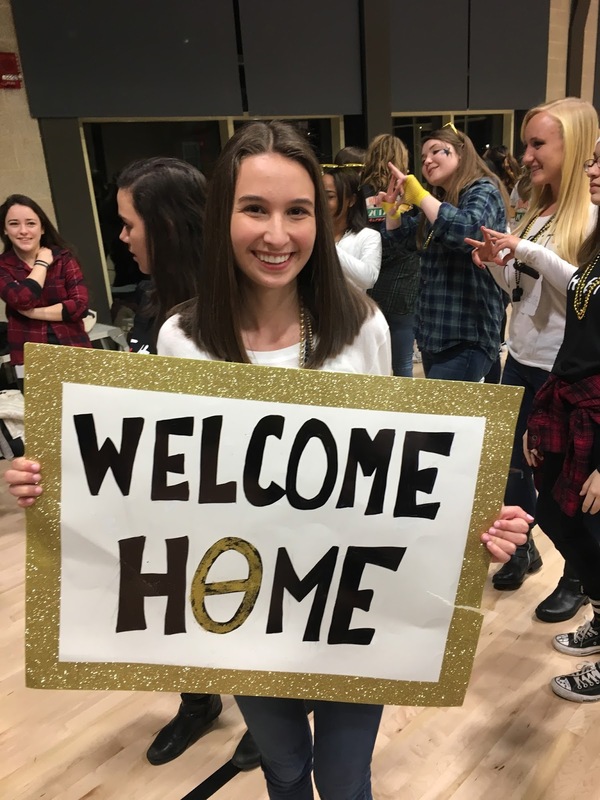 This year there were a ton of girls rushing and though Wake Forest tends to have a more relaxed recruitment process this year it was a bit more intense because there were so many people. The pressure was definitely felt as girls all across the board got cut from ones that they felt they had a good connection with. My experience was a unique one. 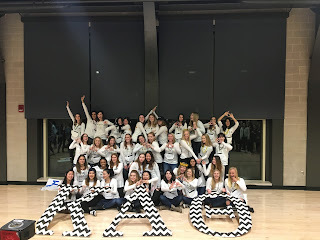 I'm not going to lie, I had an idea of which sorority I liked going into it, but ultimately I did not end up there. We have 8 sororities at Wake Forest, so the first day I went to all 8 parties. After that day I had 3 that I really loved. The next day when we got our schedules I was initially devastated to find out I had been cut from all except for one. 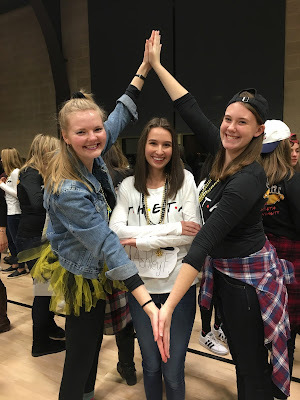 In all honesty, the sorority I had left was one I liked, but it was definitely not one of the 3 I loved. My GRCs were awesome and encouraged me to stick with it today and make the best of the party I was invited back to. 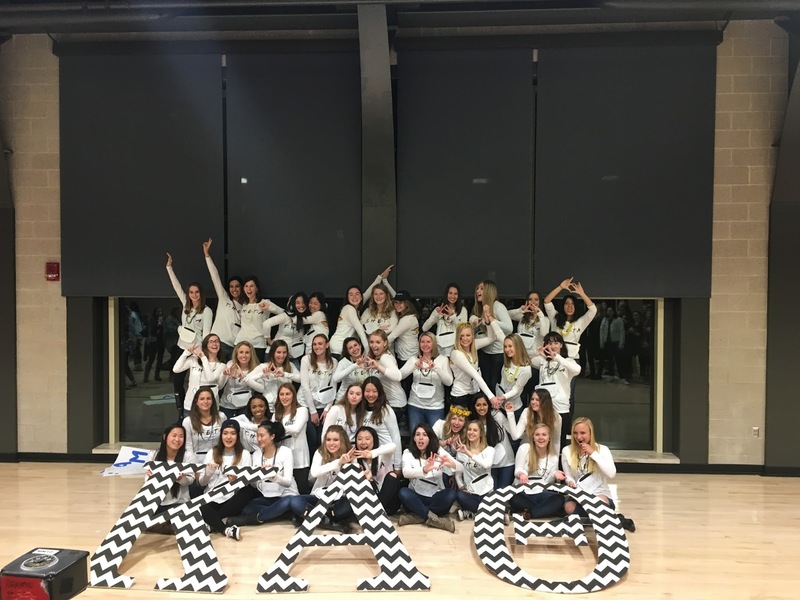 At the end of the day, I felt better about the sorority but I definitely was not sold. I stuck with it, each day only going to this one party. I thought about the idea of dropping very seriously. It wasn't until preference night when I suddenly just knew that it was right. On preference night you talk to 2 girls you had previously talked to and you hear stories and also perform some kind of ceremonial type activity. The 2nd girl that I talked to came over and she gave me a bow that we were to put on a string of a kite(their symbol). Each bow said a word on it of something the girl thought you could bring to the sorority, mine said kindness. As the girl explained to me why she picked that word for me, I began to tear up and instantly knew this was the place I wanted to be. I had no doubt in my mind that I wanted to be a part of Kappa Alpha Theta. 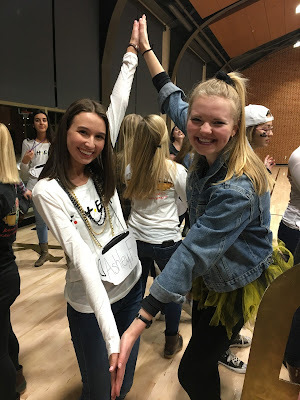 So when I got the call on bid day that I had received a bid I knew it was Theta(because I only went there on preference night) and was ecstatic about the fact I got to join my perfect new sisterhood. 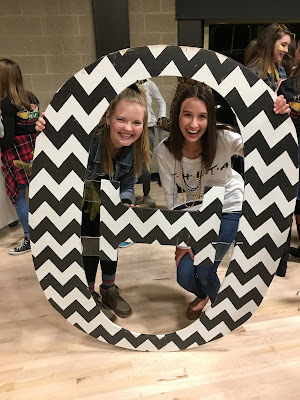 Sorority recruitment was nothing like I had expected, I never thought that 3 of the 4 days I would have been going to one party, and I didn't think I would end up in the sorority that I did. But I have to say I think everything turned out perfectly. I'm so happy and excited to have found this awesome group of girls who I know will constantly support me. So I guess what I'm trying to say is to be open, sometimes you really do find the best things where you are least suspecting it. Now onto bid day! It took place on our first day of classes after all of recruitment got pushed back because of snow, so we didn't receive our bids until 8:00. 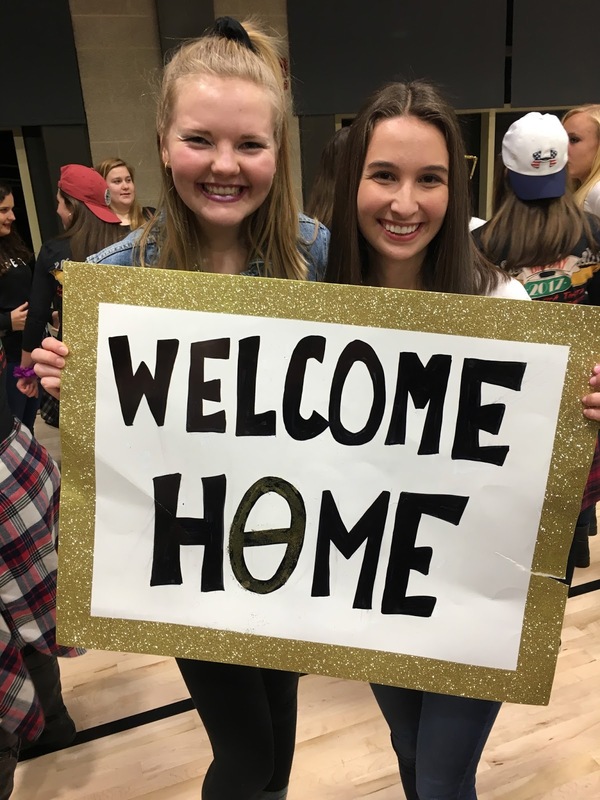 But that didn't really matter because bid day was one of the most exciting days, as everyone opened their bids everyone was screaming and jumping around and then we all got to run to our new sisters. We each had a bid day buddy that greeted us with a tote bag full of goodies and of course a super cute bid day shirt! Our theme was Friends(the T.V. show), so all the members were dressed in 90's clothes and we had lots of fun friends themed props for photos. We all spent the first-hour taking pictures before heading to an auditorium to watch a movie and eat cake, lots of cake. 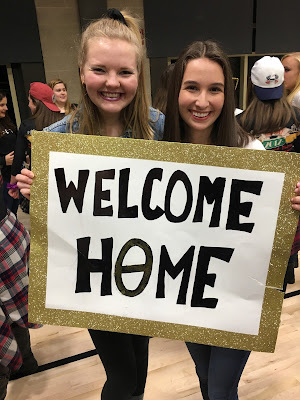 It was so much fun to meet so many new people and I was sad when it was all over and we had to head back to our rooms at 11:30(campus bid day policy). And a super cute video made by one of the sweet girls! Since then I've been having so much fun getting to know all my new sisters and doing so many fun activities. I look forward to all the great memories I will have with these girls! And I've said it a million times, but I feel so lucky and excited to be a part of this amazing group of girls!